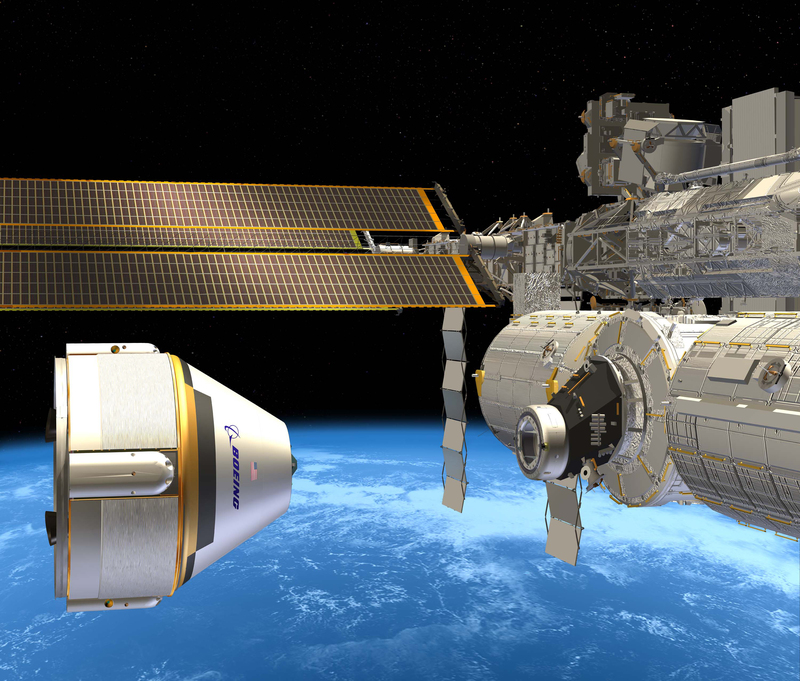 Boeing’s CST-100 capsule rendered preparing to dock with ISS (Credits: Boeing). The Boeing Company of Houston, a NASA Commercial Crew Program (CCP) partner, has successfully completed a preliminary design review (PDR) of the component that would connect the company’s new crew capsule to its rocket. The review is one of six performance milestones Boeing has completed for NASA’s Commercial Crew Integrated Capability (CCiCap) initiative, which is intended to make available commercial human spaceflight services for government and commercial customers. The company is on track to complete all 19 of its milestones during CCiCap. Boeing is one of three U.S. companies NASA is working with during CCiCap to set the stage for a crewed orbital demonstration mission around the middle of the decade. Future development and certification initiatives eventually will lead to the availability of human spaceflight services for NASA to send its astronauts to the International Space Station. The component that was reviewed is called the Launch Vehicle Adapter. The critical structure is being designed by United Launch Alliance (ULA) to join Boeing’s Crew Space Transportation-100 (CST-100) spacecraft to ULA’s Atlas V rocket, just above the rocket’s second stage. In recent weeks, teams from NASA, Boeing and ULA met at ULA’s headquarters in Denver, Colo., to assess requirements and capabilities to safely launch people into low-Earth orbit from U.S. soil once again. The PDR was a culmination of early development and preliminary analysis to demonstrate the design is ready to proceed with detailed engineering. In addition to the Launch Vehicle Adapter PDR, Boeing recently completed two additional CCiCap milestones, including the Engineering Release (ER) 2.0 software release and the Landing and Recovery Ground Systems and Ground Communications design review. The ER 2.0 software release was completed Jan. 25 in Boeing’s Avionics and Software Integration Facility Lab in Houston. This test laid the foundation for the software structure to control and fly the spacecraft, as well as communicate with pilots and ground systems. The landing and recovery ground systems and ground communications design review Jan. 16 to 18 in Titusville, Fla., established the baseline plan for equipment and infrastructure needed for CST-100 spacecraft ground communications and landing and recovery operations.